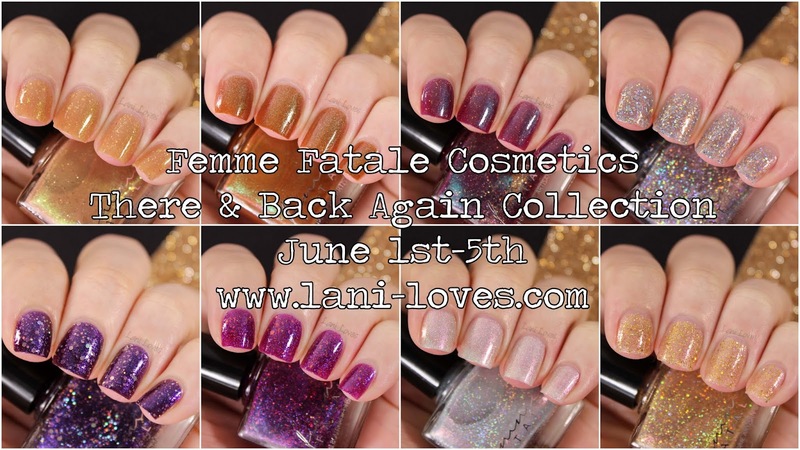 Femme Fatale's June collection is rapidly approaching and this time around it's themed after the iconic Tolkien novel, The Hobbit or There & Back Again. It's bizarre, considering what a big reader I was in my youth, that I never got around to reading The Hobbit then, and only just read it last year. 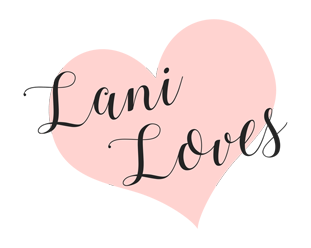 Of course I loved it and quickly followed it up by reading the Lord of the Rings, all of this sparking a week-long marathon of all Peter Jackson's Tolkien films. 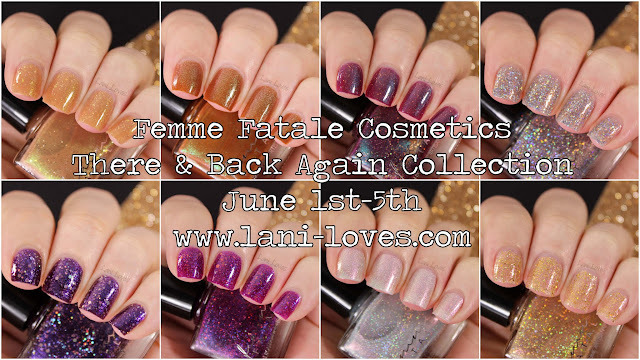 It's nice to have it all still fresh in my mind as I go through this collection; as usual Sophie has perfectly captured her theme in this selection of eight lacquers, from the earthy Lonely Mountain to the deep and mysterious A Thief in the Shadows. 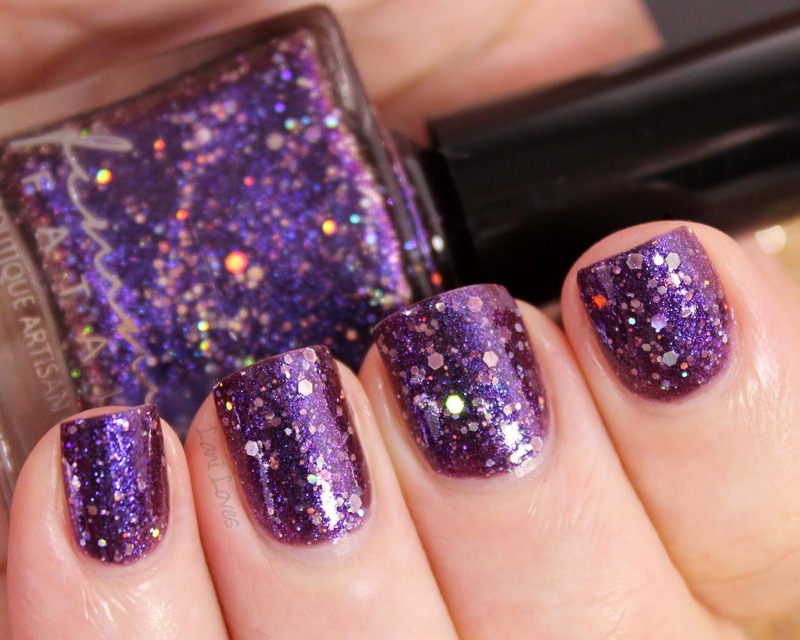 Swatch notes: I used three coats for each polish and all but Lonely Mountain were top coated with Essie Good To Go . 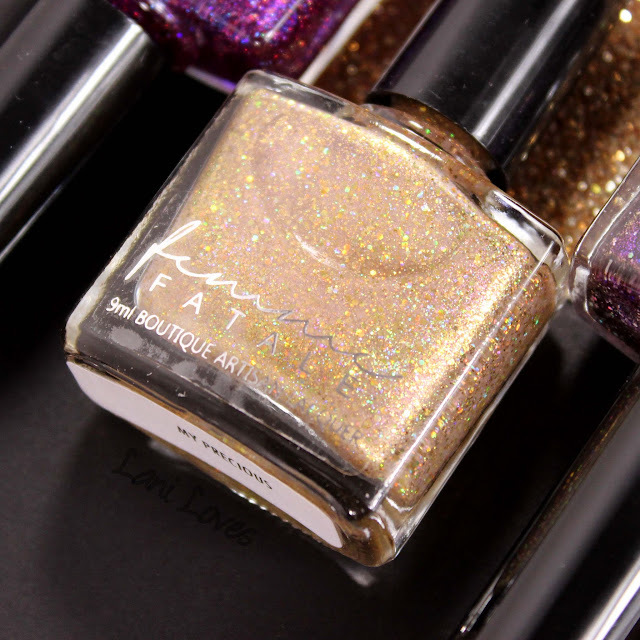 I do not use base coat for my swatches and everything was photographed using a three point lighting set up under daylight bulbs. 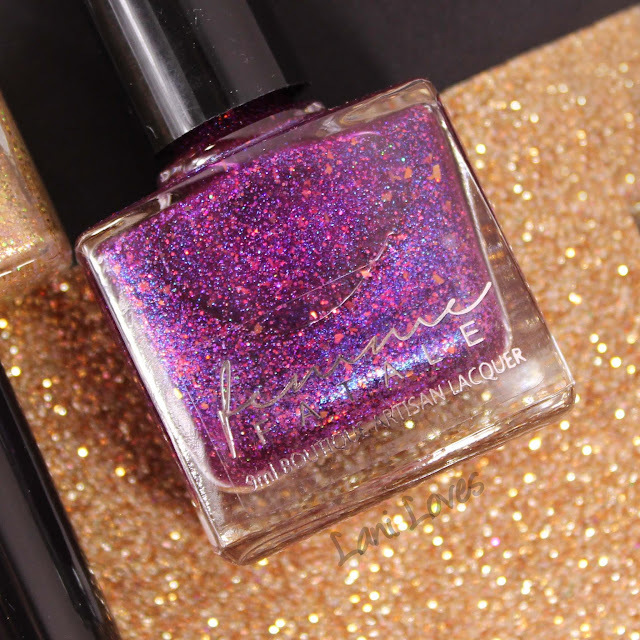 A Thief in the Shadows ($8.50AUD) is a dark purple with blue shimmer and a slight gold shift at extreme angles, complimented by a liberal dose of silver holo glitter. Bilbo wishes he was this fabulous! 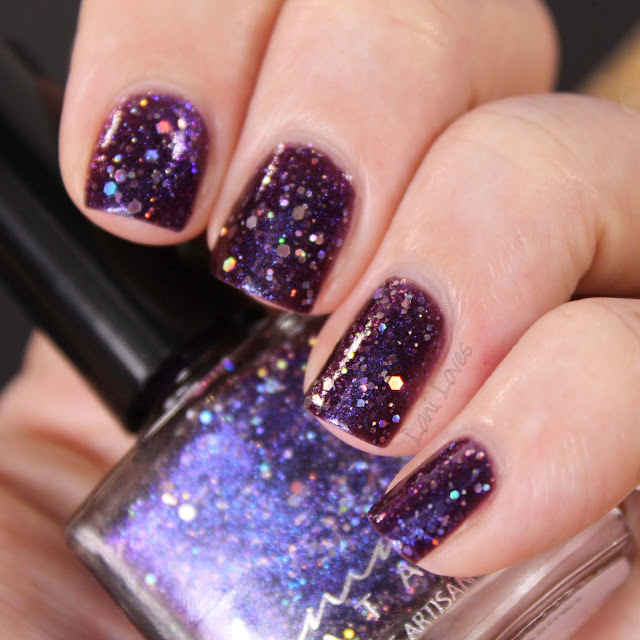 A Thief in the Shadows flowed on the nails easily with no fishing or manipulation necessary for the larger glitter. Oh Lee Pace, you glorious being. 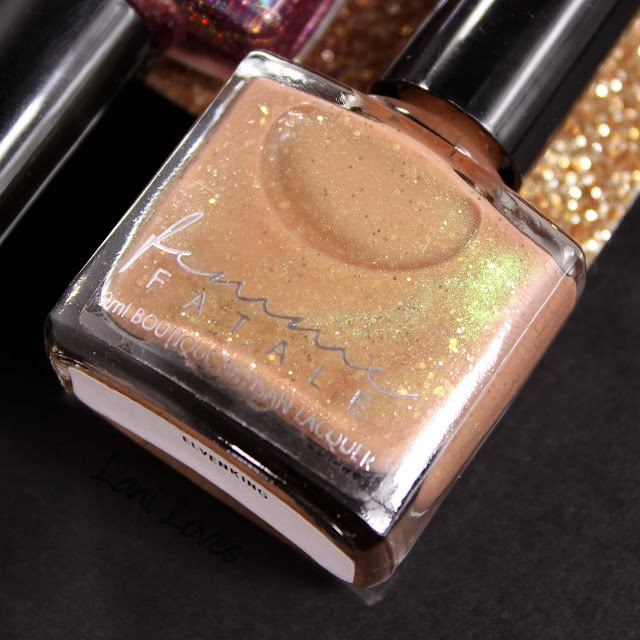 Elvenking ($10.50AUD) is a sandy, almost mustard gold with green shimmer and gold flakies, peppered with silver and iridescent glitter. It builds to opacity in three coats, but I did notice a tendency to drag between coats if not allowed to dry adequately, so watch out for that. The Necromancer ($10.50AUD) is a grape jelly glistening with blue shimmer, fuchsia holo glitter and orange-gold flakies. 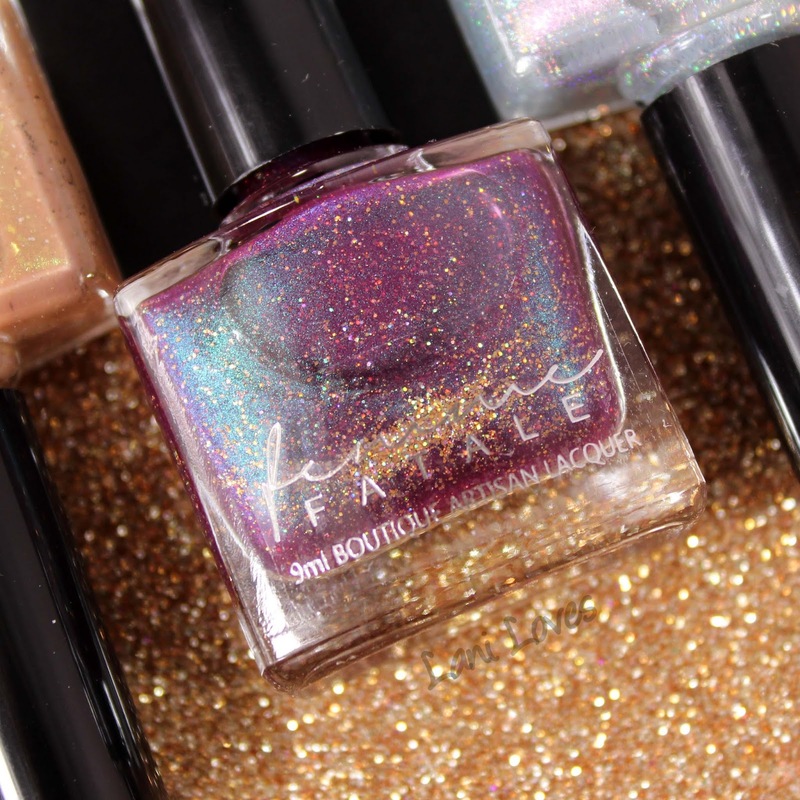 This looks freaking incredible on, the multifaceted glitter and flakie pairing guaranteeing it will look different in every lighting situation. I used three coats and you can just see the white of my tips showing, so if you hate visible nail line I recommend a tinted base coat (like Butter London Nail Foundation ) or a fourth coat. I'm still obsessed with Neil Finn's Song of the Lonely Mountain from The Unexpected Journey soundtrack. So good! 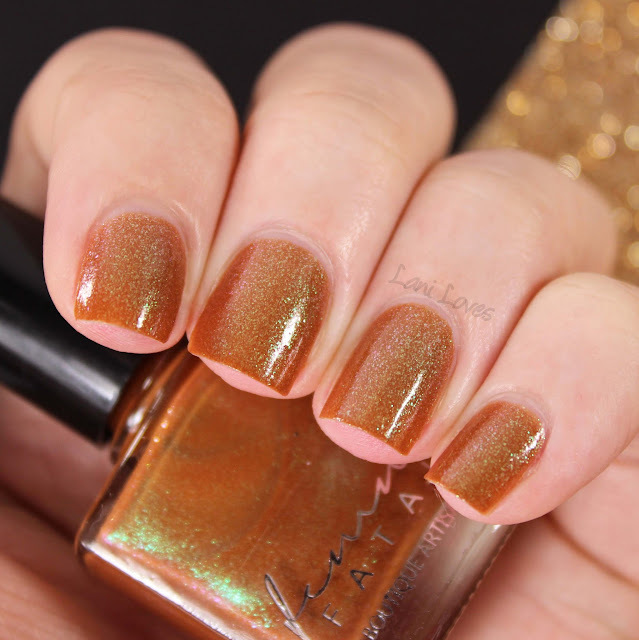 Lonely Mountain ($8.50AUD) is a rich caramel with colour shifting gold to green shimmer. 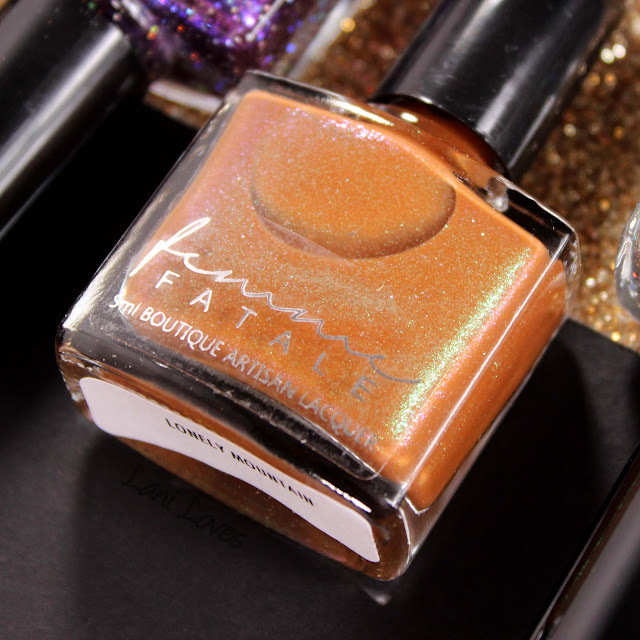 This is such a lovely, earthy shade which I look forward to using as a base colour for nail art - it would add something really special to a woodgrain look! No problems with formula here, it built up perfectly in three coats and was pretty much opaque on the second, the third just added depth. I did not come to steal from you, O Smaug the Unassessably Wealthy. I merely wanted to gaze upon your magnificence, to see if you really were as great as the old tales say. I did not believe them. 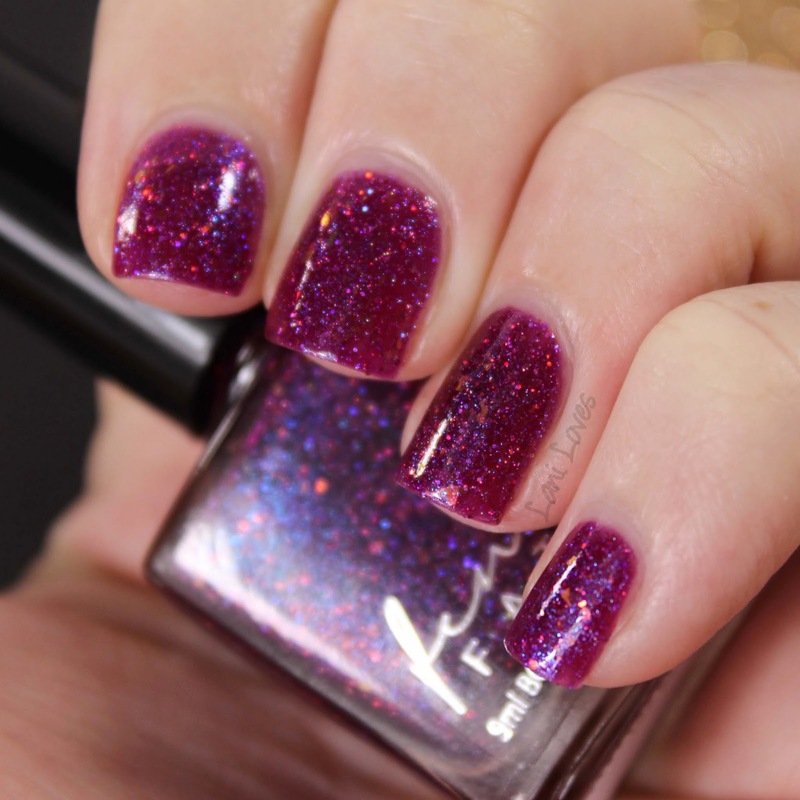 The Last Great Fire-Drake ($8.50AUD) is a reddy purple with teal shimmer and lots of gold holo glitter, as awe-inspiring and magnificent as the great dragon himself. 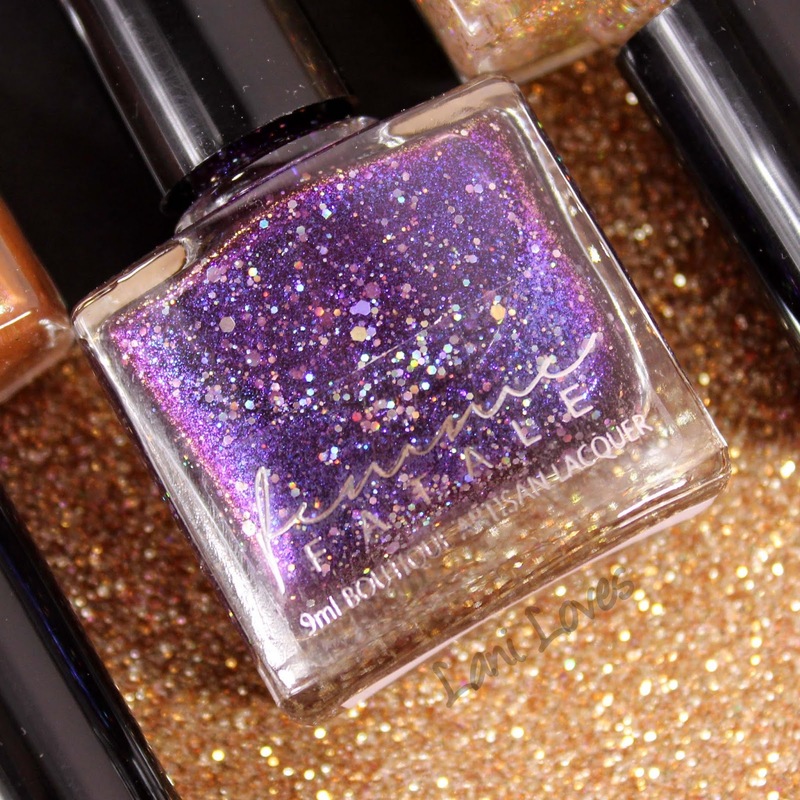 Fire-Drake applied perfectly in three coats and is best sealed with topcoat to eliminate texture - this is more important, I find, in the shimmer & glitter mixes where texture can otherwise be more pronounced. Now we come to another of my favourites in this collection! 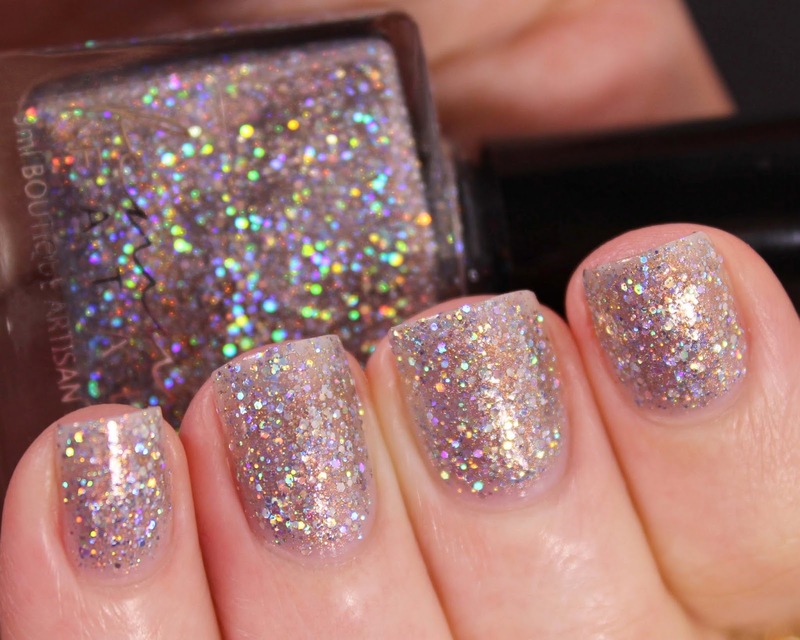 Heart of the Mountain ($10.50AUD) is a pale silver holo with pink to gold shimmer. 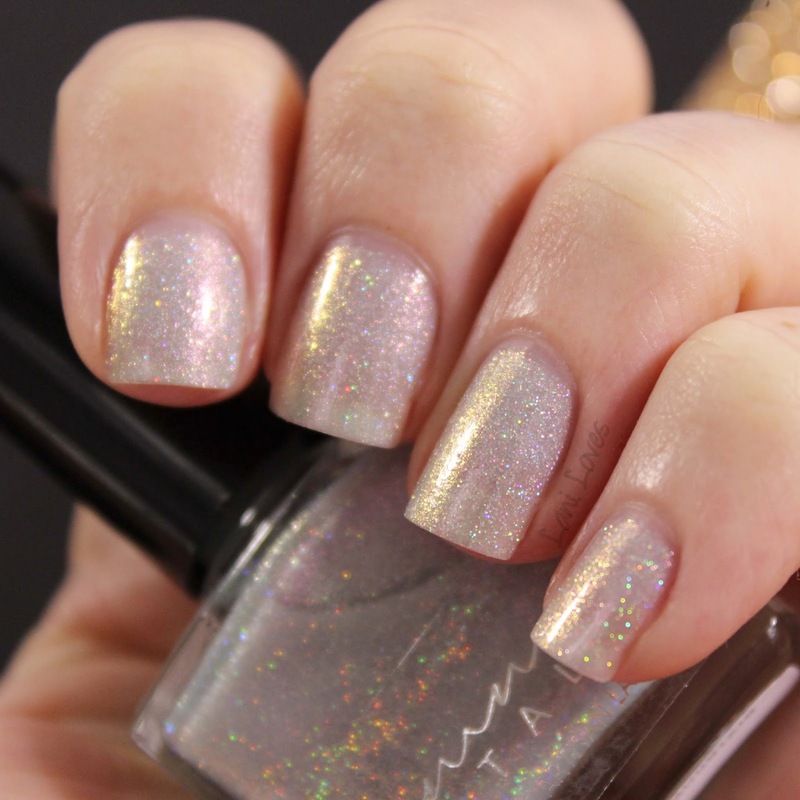 It's sheer in an ethereal, delicate way but doesn't streak or pull between coats. 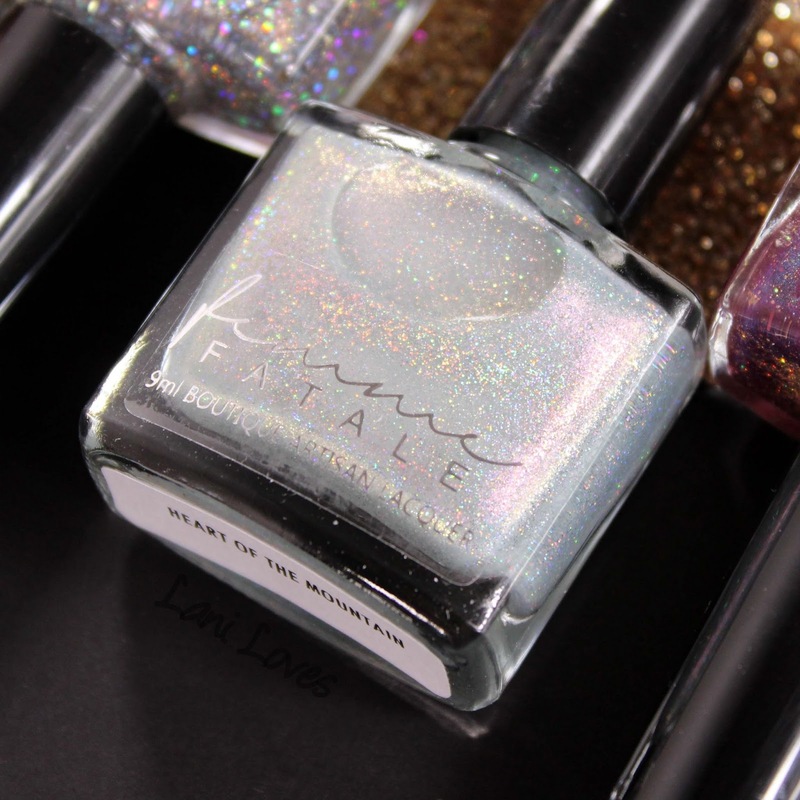 If visible nail line bugs you, OPI My Pointe Exactly would make a lovely base colour, upping the opacity without overwhelming the softly shimmering effect. I thought about using a serious Gandalf gif, but then I found this one and I just had to use it. HAD to. 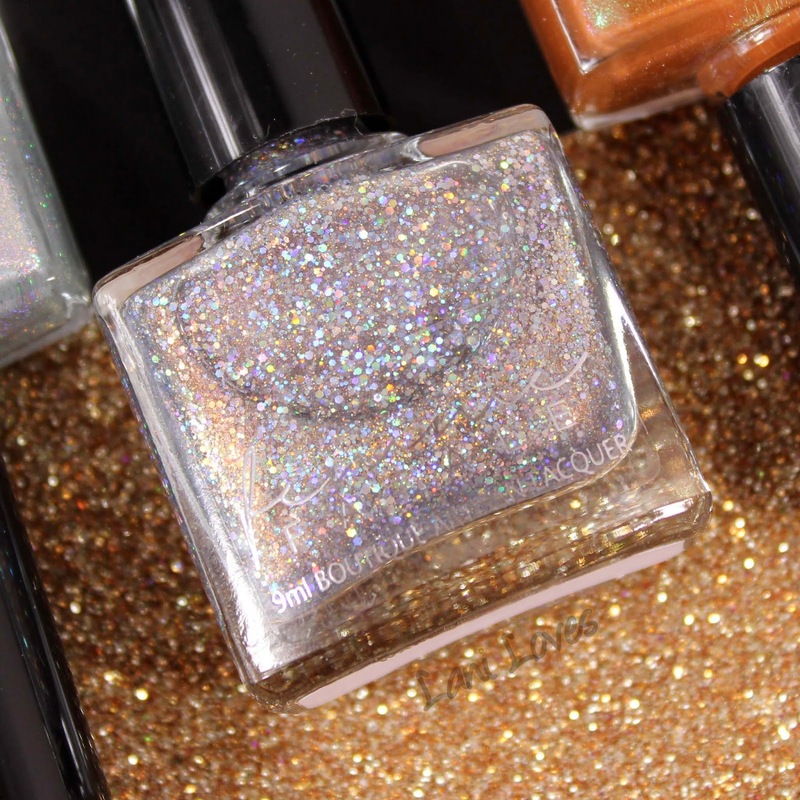 Wandering Wizard ($8.50AUD) is a a grey blue holo glitter with golden shimmer, because Gandalf the Grey does not mean Gandalf the drab. Sir Ian would approve! It's mostly opaque on its own and would probably get there with a fourth coat, although as usual, the visible nail line wasn't as noticeable in person - my lights just show all! I can't wait to try this one over a dark, inky blue. 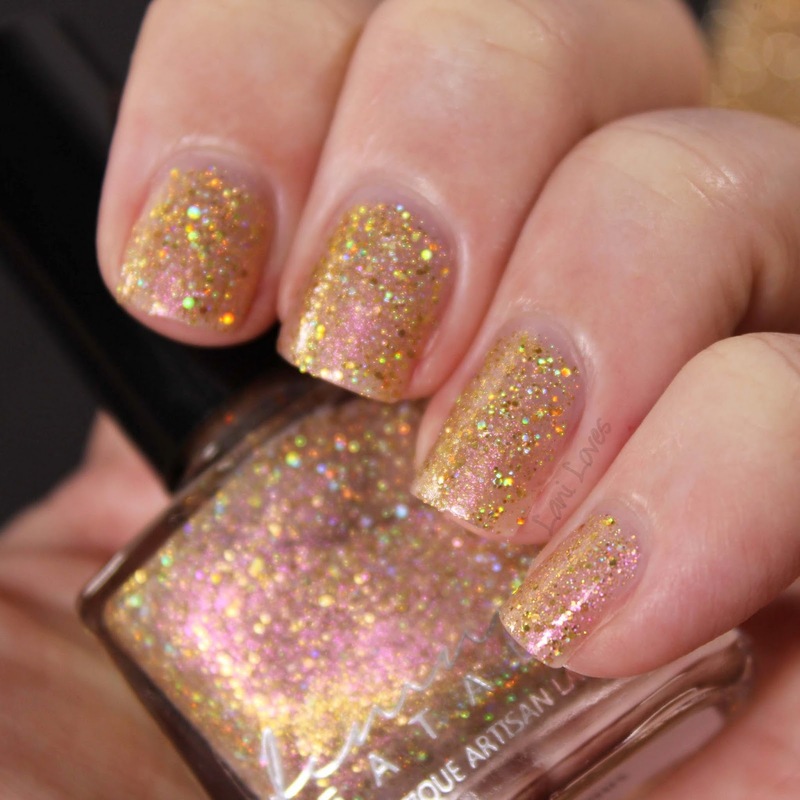 My Precious ($8.50AUD) is a sheer golden glitter with strong pink shimmer. 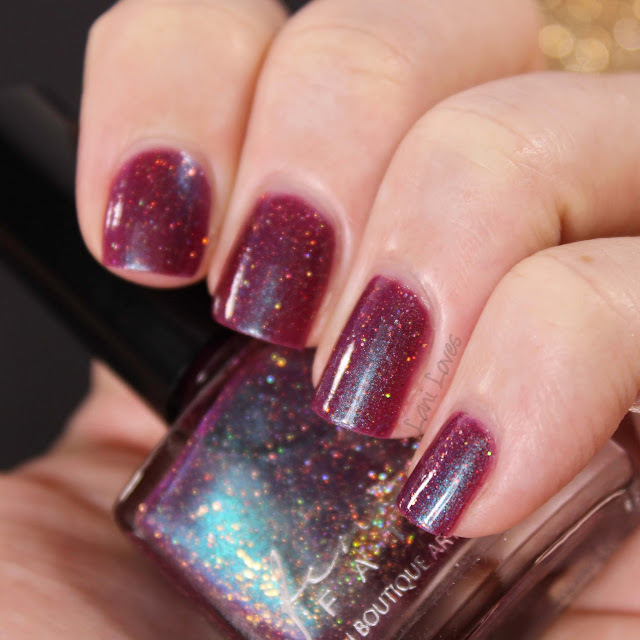 It applies smoothly without clumping on the nails and would make a beautiful topper, too. 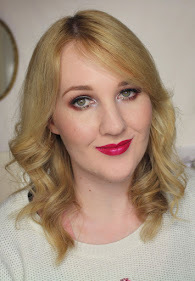 For those wondering how it compares to Rich in Beauty from last year's Valentines trio, My Precious is a much warmer gold, but the general feel is very similar. 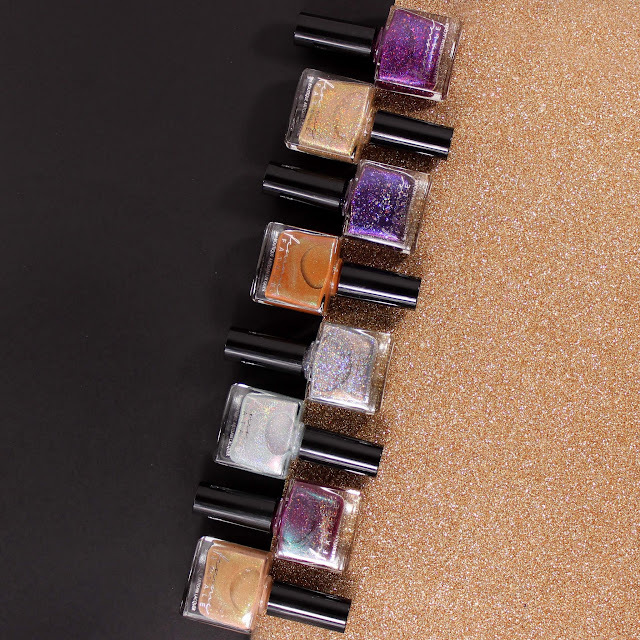 See swatches of Rich in Beauty here. What's your favourite polish in this collection? Mine are My Precious, The Last Great Fire-Drake and Heart of the Mountain!